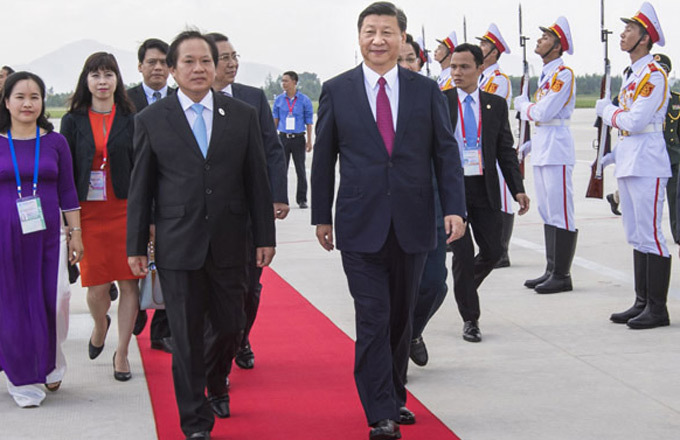 DA NANG, Vietnam - Chinese President Xi Jinping met with Japanese Prime Minister Shinzo Abe here Saturday, urging Japan to take more "practical actions" to improve ties with China and properly manage differences between the two countries in a "constructive way." 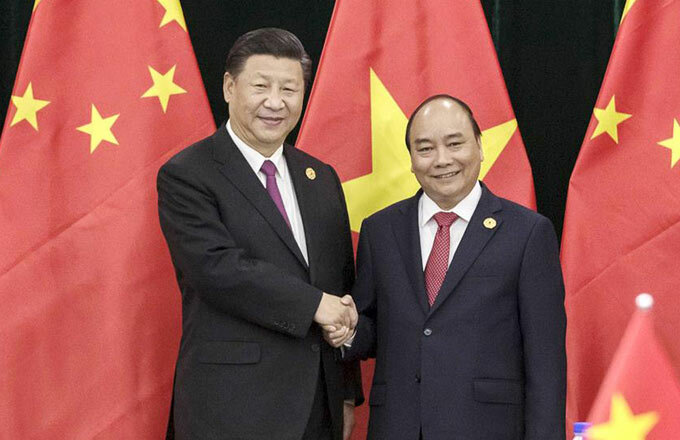 "To improve China-Japan ties, the key is mutual trust," Xi told Abe on the sidelines of the 25th Asia-Pacific Economic Cooperation Economic Leaders' Meeting in Vietnam's central city of Da Nang. He urged the Japanese side to take more practical actions and adopt more specific policies to reflect the strategic consensus reached by the two countries, which reaffirms that China and Japan are cooperation partners, not threat to each other. On history, Taiwan and other major issues of principle concerning the political foundation of the China-Japan relations, the Japanese side should always act in light of the four political documents and the consensus reached by the two sides, Xi said. A constructive way should be used to manage and control the differences between the two countries, he said. 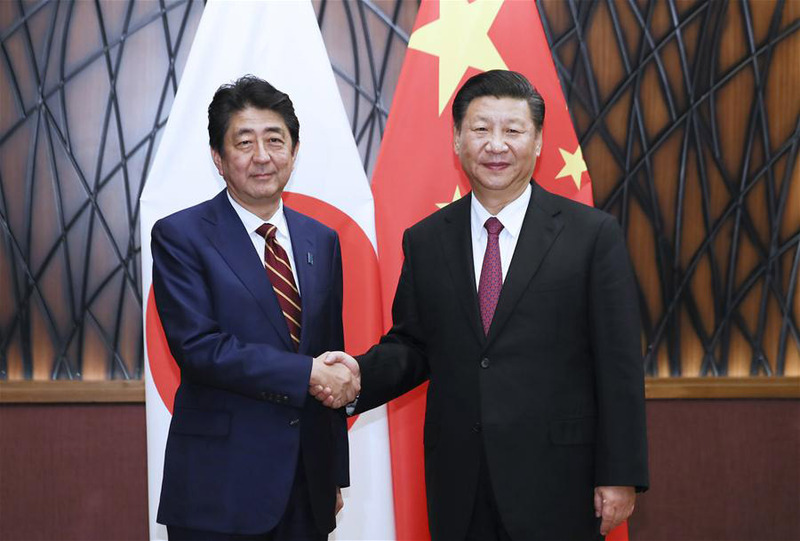 As China and Japan are neighbors and major economies in Asia and the world, a stable development of China-Japan relationship conforms to the interests of both sides and also has an important influence on the region and the world at large, Xi said. This year marks the 45th anniversary of the normalization of diplomatic relations between China and Japan, and next year will mark the 40th anniversary of the signing of the China-Japan Treaty of Peace and Friendship. 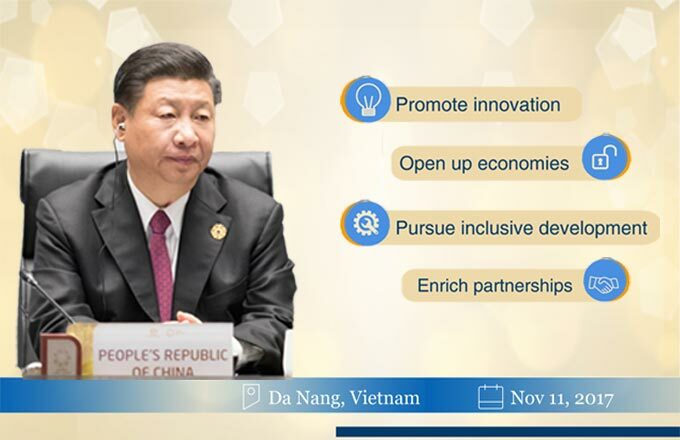 The two sides should, bearing in mind the fundamental interests of the two peoples, correctly grasp the general direction of peace, friendship and cooperation, and work to enable the bilateral relations to keep improving and developing for the better through unremitting efforts and accumulating positive factors, Xi said. 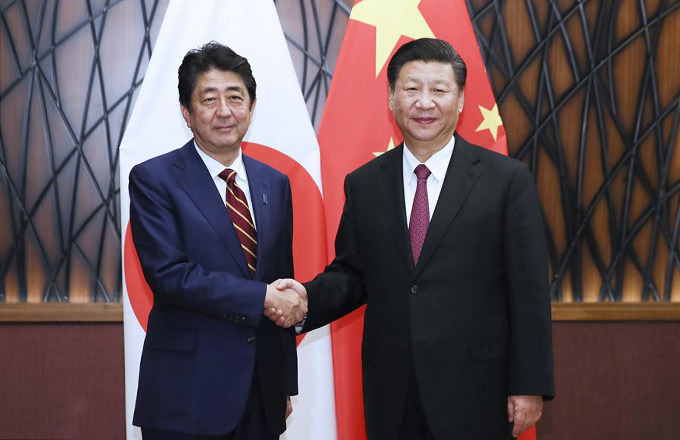 Xi pointed out that mutually beneficial cooperation is the momentum to drive the China-Japan ties forward, and the two sides should improve the level of pragmatic cooperation in the new situation. 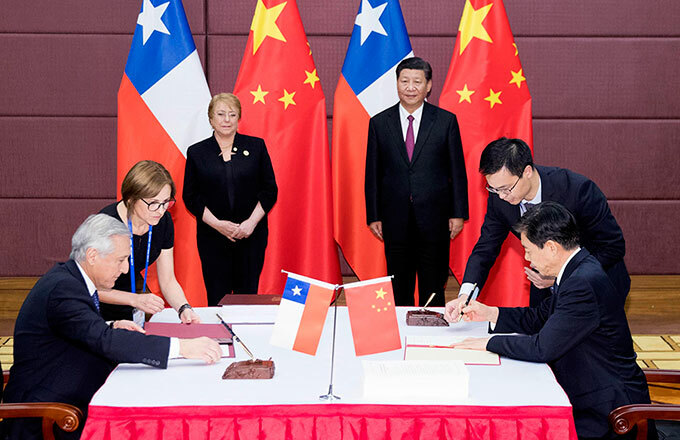 He suggested the two countries promote regional economic integration, and push for cooperation within the framework of the Belt and Road Initiative at an early date. The two sides should continue to increase exchanges on culture, media and youths, and can also strengthen people-to-people bond through carrying out cooperation on Olympics as China will host the Winter Olympic Games in 2022 and Japan will host the Summer Olympics in 2020, Xi added. Abe extended his congratulations on the success of the 19th National Congress of the Communist Party of China (CPC), which was held last month, and on Xi's re-election as general secretary of the CPC Central Committee. He said the Japanese side is willing to work with China to push for the development of the strategic mutually-beneficial relationship between the two countries by marking the 40th anniversary of the signing of the China-Japan Treaty of Peace and Friendship next year. 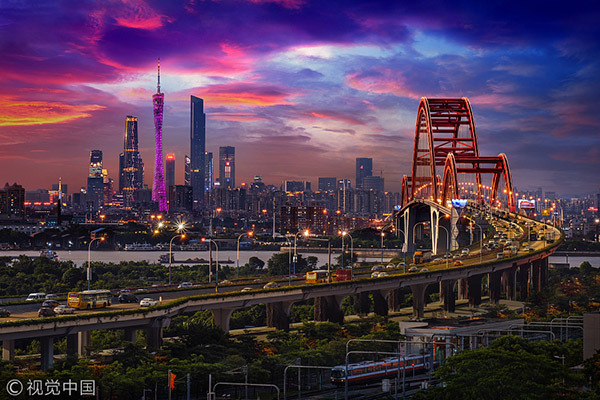 Japan hopes to increase high-level exchanges with China, carry out reciprocal economic and trade cooperation, and explore cooperation in connectivity and under the Belt and Road Initiative, he said. Abe also agreed to deepen exchanges on tourism, culture, youths and Olympics.